If you're really interested in your health, this site maybe for you. Hi... 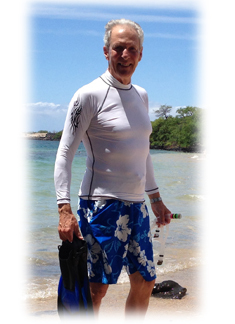 I'm Ian Black and I'm 71 years old and have a wellness concept I'd like to share with you here. but it figures...my Dad died at age 64, and I always felt he was too young to die. so naturally I reacted, and do take care of my health. and like others, I've been taking multi-vitamins to augment my diet. optimizing system to promote healthier cells. After about 3 to 4 months, I noticed a real positive change in my energy. I've been taking them ever since and I feel better than I've ever felt before. for maintaining health in adults. I feel these are important ideas that need to be know by everyone. optimal levels of multi-vitamin nutritionals to maintain good health. I have found a first rate source for products I know are a significant cut above the rest. They cost a little more but simply, they are a lot better. I became an 'referral agent' to spread the word. I believe these to be the best products of their kind I've ever come across. take a look at what I have found out. needing to supplement our own nutrition today. I'll be glad to get back to you.